Please help victims of Hurricane Harvey. Here are two ways you can give. Review: "Is this legitimately the best album of 2017 so far?" 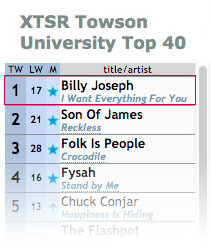 "I Want Everything for You" from Billy's album Ride on the Mystery hit #1 on the Top 40 list at XTSR Radio in Towson, Maryland. 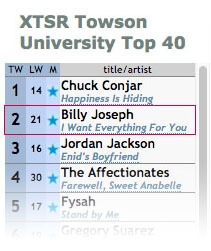 "I Want Everything for You" from Billy's album Ride on the Mystery hits #2 on the Top 40 list at XTSR Radio in Towson, Maryland. Billy Joseph's "Ride on the Mystery" is now featured on Indiemono's Spotify playlist, "Walking Alone at Night." West Coast Tour Dates To Be Announced Soon! West Coast Tour dates in support of the release of Ride on the Mystery to be announced soon! 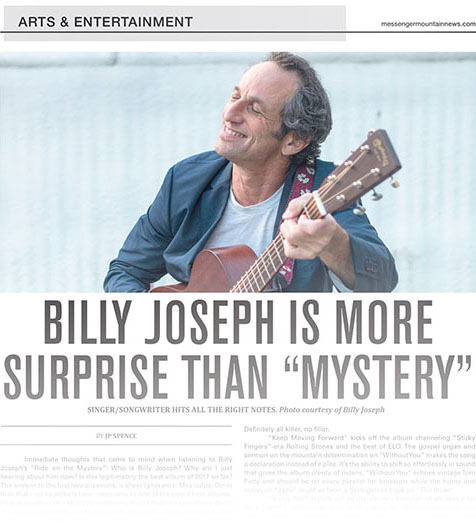 Billy Joseph was among the finalists in the 2016 Global Peace Song Awards, a ProjectPeaceOnEarth.org initiative designed to create awareness about music’s power to inspire and create peace. Judges included Stewart Copeland of the Police.